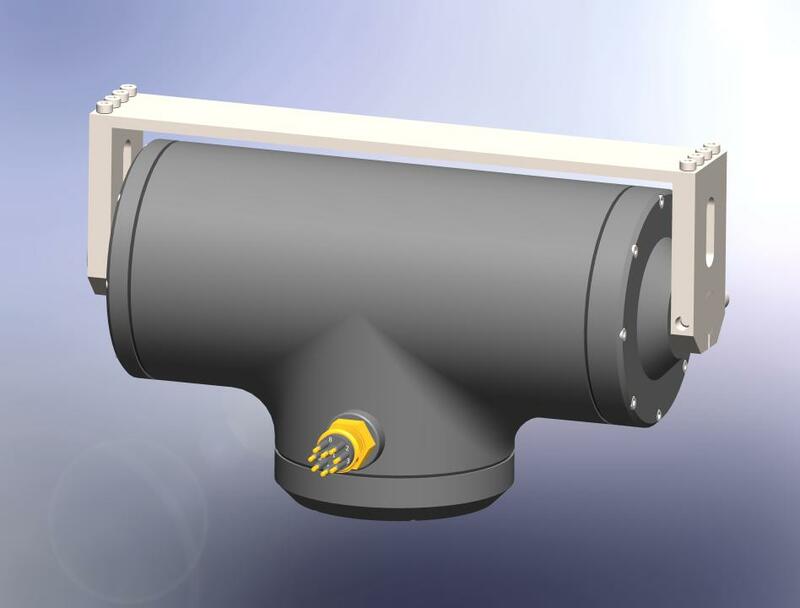 Single axis underwater tilt elevation position actuator for ROV controlled vertical angular positioning of subsea sensors, with absolute positional feedback. The TT180 is a rugged and compact tilt unit designed for a wide range of subsea and underwater applications. The unit may be controlled via RS232, RS485 or by switching ±24VDC for upward and downward tilt motion. It offers absolute positional feedback, with tilt position remembered even after being powered down. The unit is manufactured using brushless DC motor, low backlash harmonic drive and heavy duty bearings on the output shaft. The PT330 Pan & Tilt supports simultaneous movement in pan and tilt axes, with the same control options (RS232, RS485 or ±24VDC) and absolute positional feedback as the TT180.